How did you get started with motorcycles – how/when did you learn to ride, and what was your first bike? 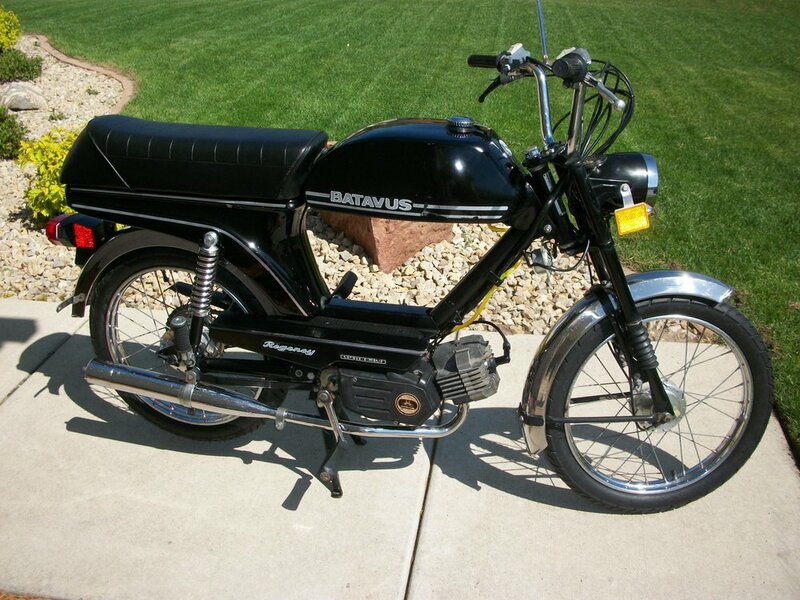 : Whilst living in Germany, it was legal to ride at 15 which is when I started, first bike was a Batavus moped. What bikes do you currently own? Are they riders or projects? : Own several. Most are riders but having a cull very soon. If you race(d), what is your favorite race story? : I've done a few track days including the Nurburg Ring in Germany. What is your most memorable motorcycle trip or adventure? : Five weeks through Europe as far south as the Greek island of Corfu. What is your favorite piece of gear? : Custom moulded ear plugs with in-ear speakers for music. You have $25,000 to spend on anything in the world of motorcycles - 1 new bike, several old bikes, track days, a trip, you name it. How do you spend it? : A long trip around Thailand, Cambodia, Vietnam etc.